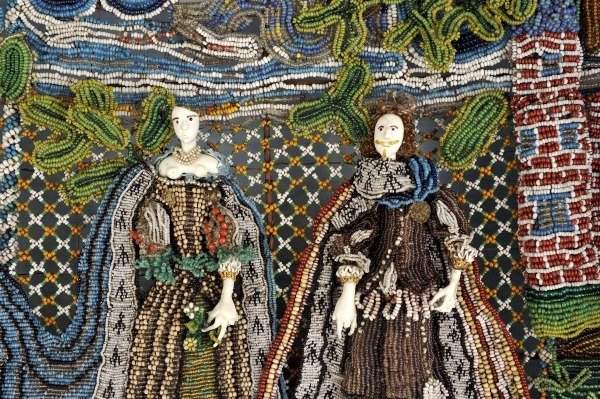 Like silk embroidery, beadwork was a fashionable pastime for amateur girls and women in wealthy households. 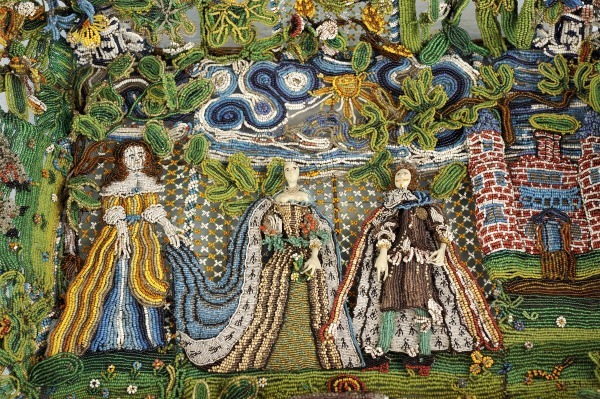 They were taught the art in much the same way that they were taught other forms of needlework and embroidery. 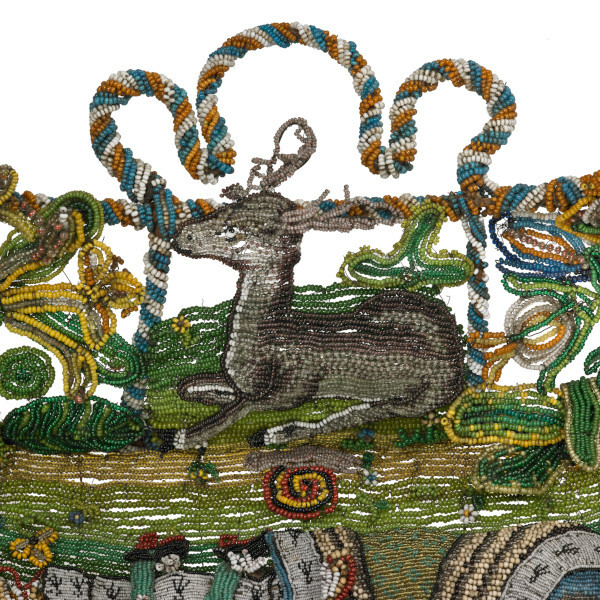 However, whereas most silk embroideries are now much faded, here the glass beads retain their astonishingly vibrant colours. 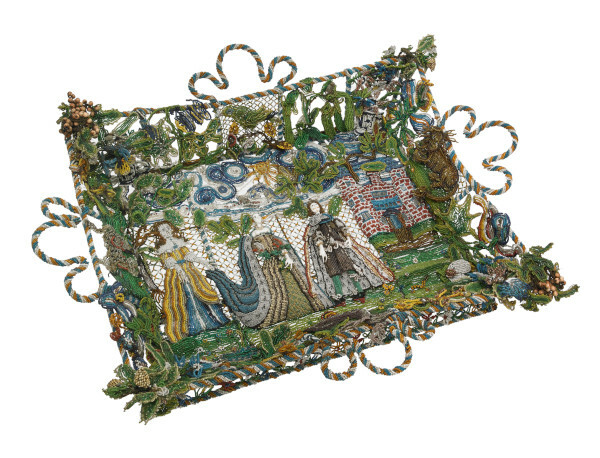 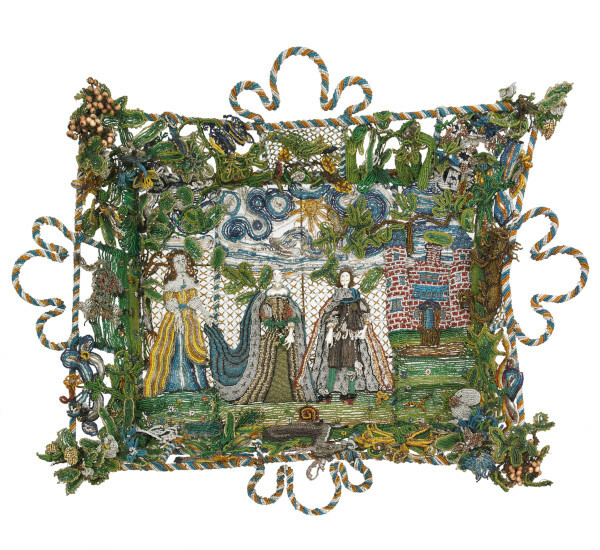 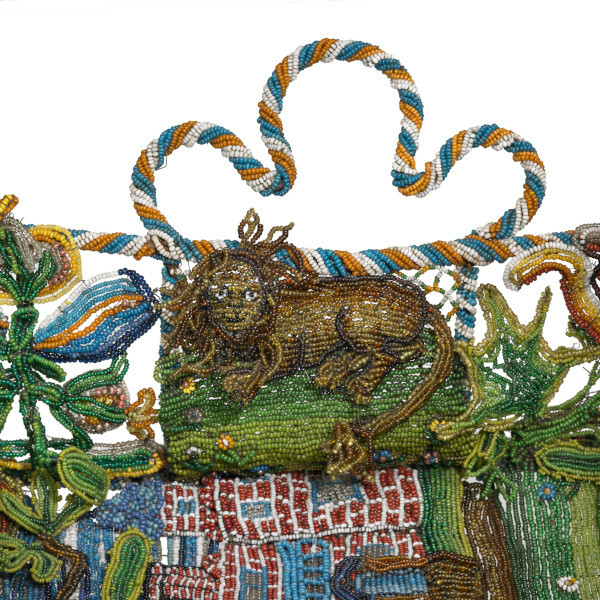 The composition is made from thousands of beads of varying sizes and colours that have been skilfully threaded onto fine wires and attached to the mesh-like basket frame. 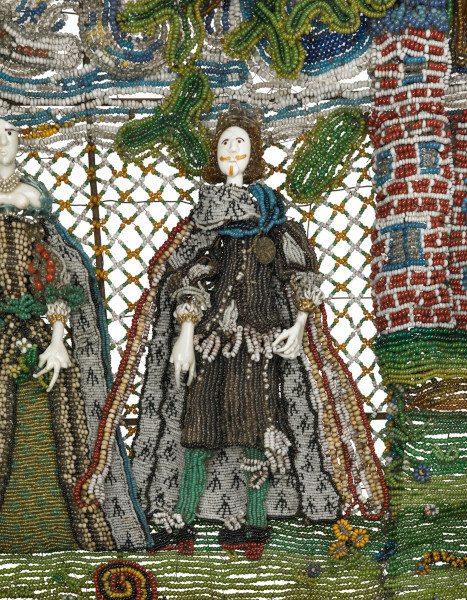 The use of lampworked glass heads and hands on the Royal figures is exceptionally rare and important.